The rivalry between the FIFA and Pro Evolution Soccer games has arguably been as intense over the past 20 years as the rivalry between any two football clubs. EA have the biggest budget and most of the licencing agreements sewn up, but that hasn’t always translated to the best playing experience. FIFA 17 and Pro Evolution Soccer 2017 fought out a hard-earned draw last year, both claiming Metacritic scores of 85. Can FIFA 18, available on PS4, Xbox One, Nintendo Switch, PC, PlayStation 3 and Xbox 360, raise its game enough to score a decisive win over its rival this year? Let’s take a look at some of the main review scores for the PS4 version of the game to see how it’s shaping up. Metacritic: at the time of writing FIFA 18 (PS4) has a Metascore of 84 out of 100 on review aggregator Metacritic. This indicates generally favourable reviews and is based on 37 individual reviews to date. 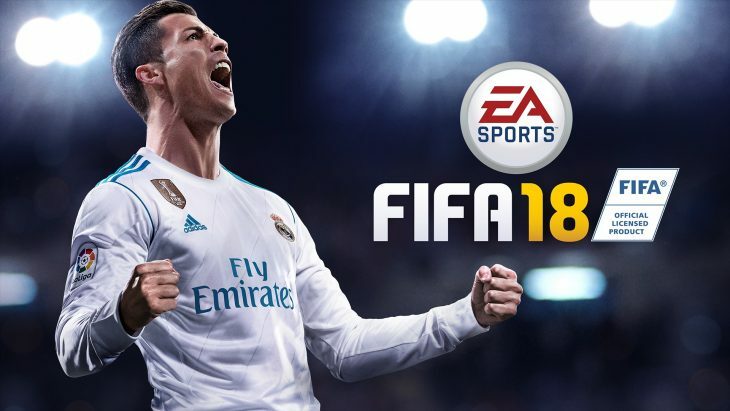 34 of these reviews are classed as “positive,” three are classed as “mixed” and, perhaps tellingly, none fall into the final category “negative.” This indicates that, at the very least, FIFA 18 has something to offer gamers and isn’t likely to leave them feeling disappointed or short-changed. Polygon were extremely impressed with FIFA 18 and scored it 9 out of 10. Though they described the game as “largely a refinement of things the series has done well through most of this console generation,” the cumulative effect of these changes was a game that felt like a “breakthrough.” Much of the review is dedicated to the game’s story mode “Hunter Returns,” which impressed the reviewer and offered the game a platform to showcase the improvements in player animations and on-pitch mechanics that make it more enjoyable to play. Pologon also praised the addition of small touches of detail like stadium announcers reading the teams out as they come out of the tunnel – “polish (that) provides more immersion in the events on the pitch” – and the wealth of modes like Career and Ultimate Team that make the game “seductively deep.” Polygon levelled no significant criticisms at the game. The Guardian awarded FIFA 18 four stars out of five and were also impressed by the amount of content it delivered. The Guardian called the Hunter Returns storymode “a thoroughly enjoyable mode lasting between 12-15 hours” and praised extra touches of realism in the game’s career mode like the appearance of Premier League managers in transfer negotiations. “The majority of fans really do care that all major top flight clubs are present and correct,” The Guardian noted and indicated that FIFA continues to excel in this area. They also noted that FIFA’s card-trading mode returns with a vengeance and that, on its own, the “exhaustive depth of this mode represents more-than-respectable value.” The Guardian did note, however, that despite improvements in FIFA’s playing mechanics, Pro Evolution Soccer 2018’s “on-field action is a touch more substantive” and may still win over footballing purists. Gamespot echoed many of the previous reviewers comments on the positive aspects of FIFA 18 – slick presentation, improved playing mechanics and a depth of game modes – but awarded the game a lower score of 7 out of 10. They still felt that in terms of “movement and ball work” FIFA 18 is “behind PES 2018 on the pitch” and criticised the lack of innovation in the game’s many playing modes. They did, however, feel that the game was a significant step up from its predecessor FIFA 17, noting that it is “more responsive, consistent, and satisfying” to play. The critical consensus on FIFA 18 is strong. This is a beautifully presented game with significant depth and a peerless ability to transport players into a virtualised version of today’s footballing world with all its glamour, megastars and showpiece games. FIFA 18’s playing mechanics have improved and, while most reviewers still felt Pro Evolution Soccer 2018 wins when it comes to on-pitch performance, EA’s overall package may make a stronger pitch to fans of the beautiful game. During several years that we have been following the weekly top 10 of best selling video games, Fifa 17 was the first game in the series in recent years that has fallen from top 10 before the release of the next game in the series, Fifa 18. That hasn’t happened neither to Fifa 16, nor to Fifa 15, Fifa 14, or Fifa 13. Either Fifa 17 was not good enough, despite quite good critical acclaim, or players are getting somehow tired from the genre in general. Either way, Fifa 18 has a difficult task of gaining back the previous sky popularity to the series, and according to EA, FIFA 18 gameplay is the best they’ve ever had. The critics seem to agree that it’s good indeed, let’s see what the players say. It will be clear in the months to come, and if a year from now on the last week of September 2018 before release of Fifa 19, Fifa 18 is still in the top 10 of best sellers, then EA has fulfilled the challenge.